If you were smart enough to get a mortgage insured by the Federal Housing Administration, you may be blessed with low interest rates for a long time because of the streamline refinance program. HUD still does not permit borrowers to get money back in a streamline loan, but nothing beats the stripped down guidelines and affordability with the best FHA streamline rates ever offered. FHA streamline refinancing is easy to qualify for if you already have a loan that is insured by the FHA ad you have been able to make the payments in a timely manner. May 31, 2009. Ask your loan company when your mortgage was originally endorsed by the FHA for insurance purposes. If it turns your mortgage was insured any time after May 31, 2009, you will not be eligible for this version of the FHA streamline program. • No income verification or employment documentation is required. • No new physical appraisal. •Reduced rates save you money! •New mortgage will not be more than the current loan balance. Rate Disclosure: The payment on a $190,000 at 3.25% is $826.89. This rate includes $1,995 due at closing. The APR on this proposed loan would be 3.39%. (9-29-12 680 fico 96.5% LTV) Be aware that the payment sample above does not include taxes, property insurance and monthly mortgage insurance premiums. * In most cases there is no income documentation requested on the streamline program, but DU underwriters reserve the right to request income documentation. For most of this year our lenders have been offering the lowest rates on the FHA streamline refinance program. The Department of Housing and Urban Development has made the FHA streamline loan more aggressive than ever as they revised the guidelines to reflect to the Home Affordable Refinance Program with no loan to value criteria. This makes underwater refinancing easy as no appraisal is required. There is no income documentation required either, so the FHA streamlines goes a step further then the HARP refinance. Did you know that today's FHA streamline rates are as lower as than conforming mortgage rates? Yes you must pay mortgage insurance with FHA loans, but what lender is going to offer you no equity refinancing below 4% on fixed rate terms? FHA Streamline Refinance Rates Have Never Been Better! With the FHA streamline, no income documentation is required so if you have had debt to income ratio problems before, apply now for a streamline refinance. Equity should not be an issue either, because in most cases, the FHA streamline mortgage does not require an appraisal. Refinance lenders have not been in a position to extend credit on such favorable terms. FHA streamline loans are highly regarded for FHA customers who have an interest rate over 7% or have an adjustable rate FHA mortgage that has a teaser rate about to expire. FHA customers find themselves in the unique position of being to refinance their mortgage without the documentation requirement that conforming loan customers must go through to qualify for refinancing. - No late payments on your loan for the last year. - Loan applicants must pay lending costs “out of pocket” as the streamline refinance does not allow borrowers to finance the fees. With the federal and state governments pushing for mortgage rate reductions in 2012 and 2013, FHA streamline rates have fallen to record lows once again. 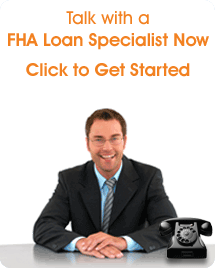 FHA streamline loan remains one of the most popular refinance options on the planet. With the FHA streamline rates this low you can expect the popularity for this program to continue to soar.